BC & Alberta Guide Dogs needs boarding homes for dogs that are in advanced training and need to live closer to our offices. Volunteers board an adult dog (already house-trained) for around a five-month period, providing a loving home for the dog on evenings and weekends. Our staff will pick up the dog for training around 9 a.m. and drop the dog off around 4 p.m. (Monday to Friday only). We provide food, vet care and other basic necessities for the dog. 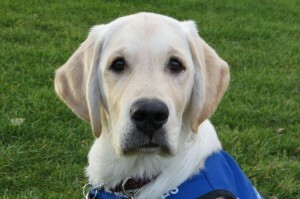 If you live in Ladner or Tsawwassen and are interested in boarding a dog – or know someone who might be – please contact us at 604-940-4504 or at info@bcguidedog.com. For Boarding Home FAQs, click here.